Ting Mobile has launched a new promotion centered around the upcoming Valentine's Day holiday. Those who bring a loved one to Ting will get the second line free for life. Ting normally charges a $6 line access fee for each line in an account. Talk, text, and data are all shared between lines so each line in an account does not pick a plan. In fact, Ting Mobile is a bit different than just about every other provider on the market. Ting Mobile charges its subscribers based on what they consume each month. There are no preconfigured plans. If your text messaging usage falls within a certain range one month, you'll pay the amount of money Ting bills for usage in that range. If your usage is higher the next month, you'll pay more. For instance, Ting charges $3 for customers who use between 1-100 text messages in a month. Customers who use 1,001-2,000 text messages will have to pay $8 that month. 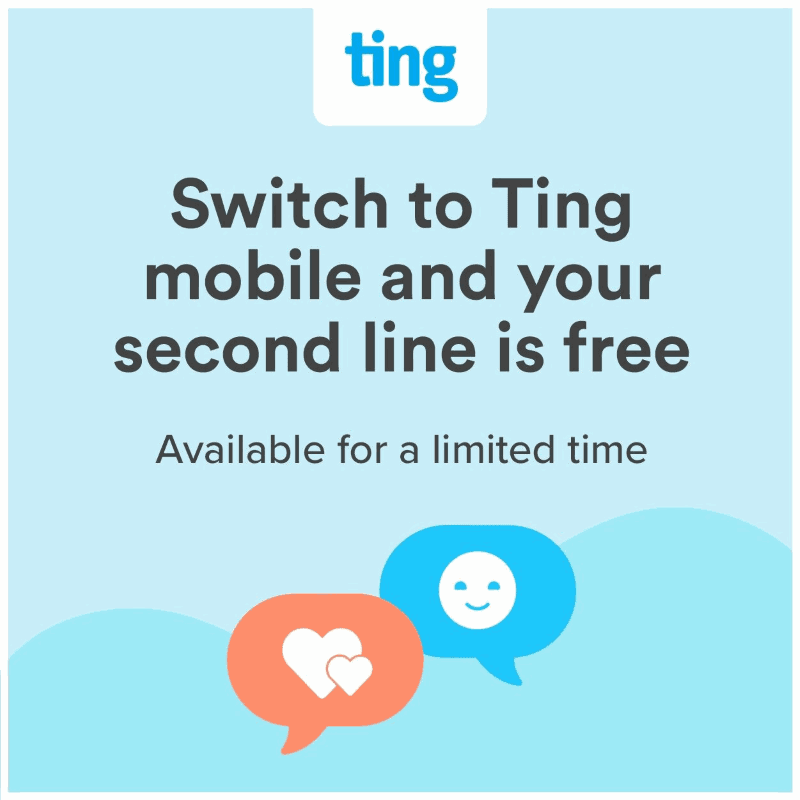 Ting Mobile is offering this add a line for free deal to both new and existing customers. New accounts will have to activate more than one line to get the fee waived. It is only available for one line. So if you add more than one additional line to an account, the other lines will still have to pay the line access fee. The free line will come in the form of a monthly $6 account credit. The credit will be for life as long as both lines remain active with Ting. The offer will be available until February 17th, 2019. Ting is an MVNO that operates on both the T-Mobile and Sprint networks. Ting is owned and operated by Tucows which is a publicly traded company that operates in the domain name, software, mobile and internet service spaces. The MVNO has over 200,000 devices activated on its network and generates $50 million in annual revenues.